Population 2011: 327, 2001: 310, 1981: 401, 1961: 604, 1940: 756 inhabitants. Area per person 108 m² per person. 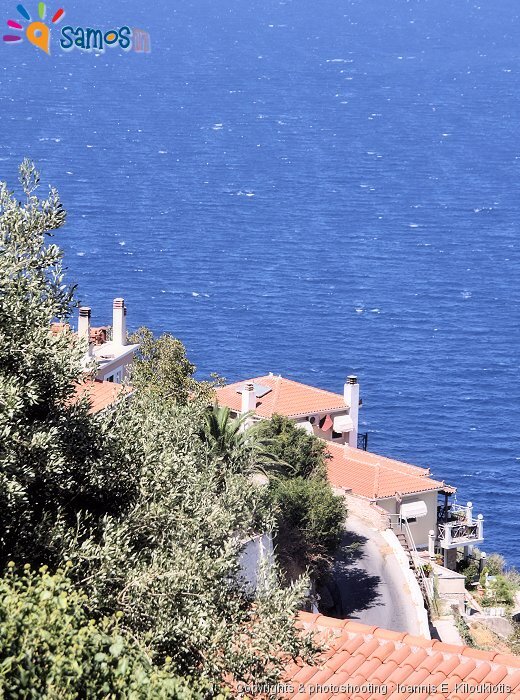 Ampelos village (Greek: Άμπελος) is located at the north of the island, at the northern foothills of “Ambelos” mountain (or Karvounis). 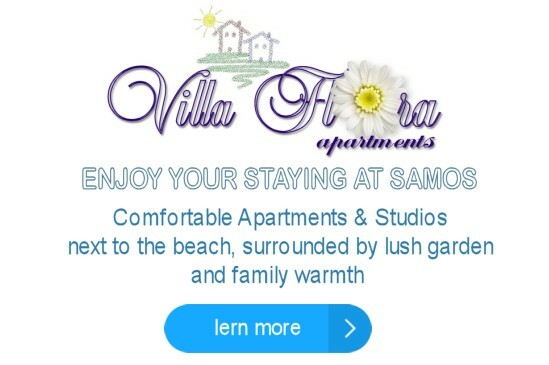 The distances are: from Samos town 24 km, from Karlovasi town 14 Km, from Pythagorio town 33 Km and from Marathokampos village 27 Km. It belongs administratively to the “municipal unity of Vathi”. 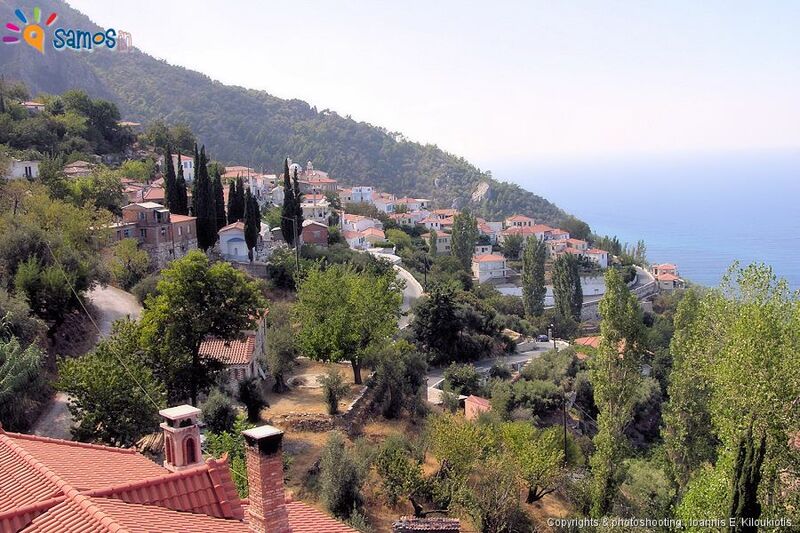 In 1851, at Samos hegemony period (1834-1912), “Nenedes” (Ampelos) with the villages Agios Konstandinos, Stavrinides, Manolates, Valeontades (abandoned), & Margarites (abandoned) they constituted the municipality of “Exi Geitonies” (=six neighbourhoods). 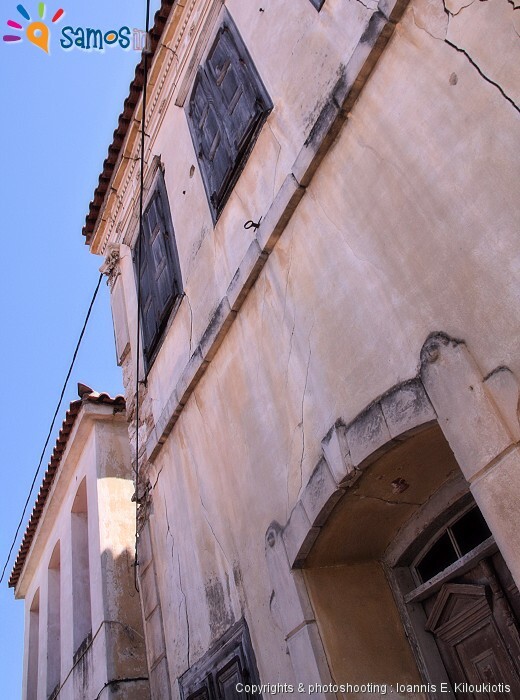 In 1900 “Nenedes” became a separate municipality, In 1905 created a separate community and in 1907 the reconstitution the municipality of “Exi Geitonies” included again “Nenedes”. 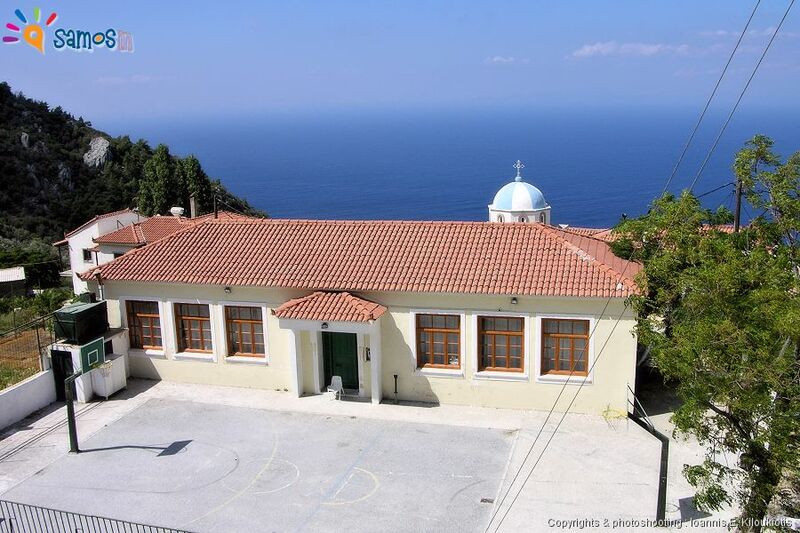 At 1912 (union of Samos with Greece) it became an independent community. 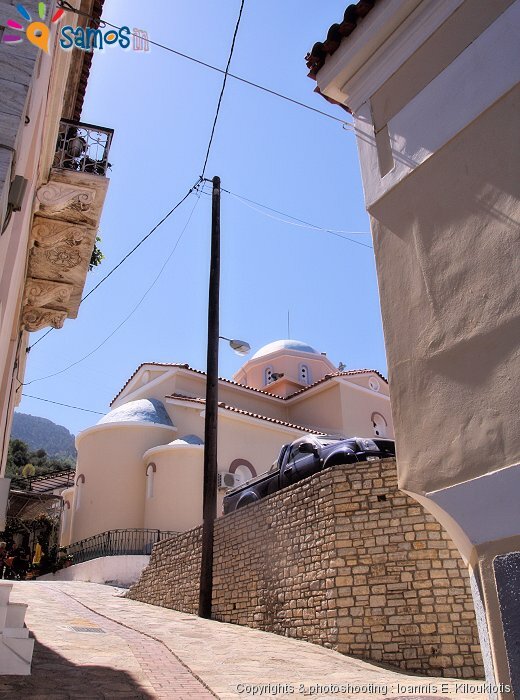 Its old name was Nenedes, and it derives from the surname “Nenes”, that was the first family that settled in this area. 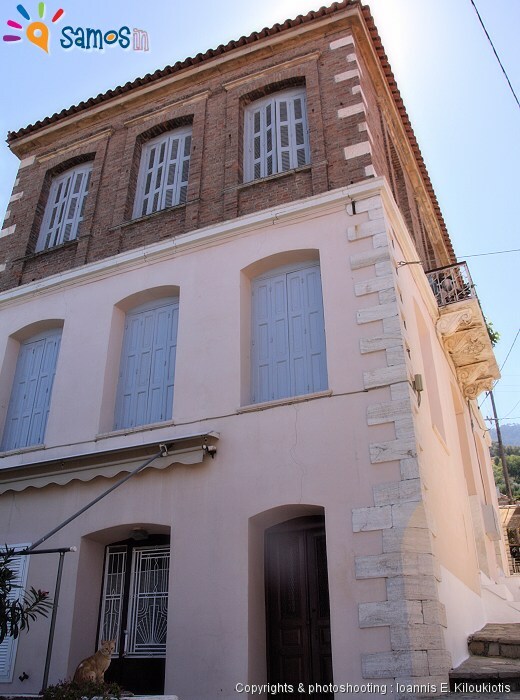 The oldest, known reference to the place name “Nenedes” there is at a donation contract of a house at 1774. In 1957 the “Nenedes” renamed to current name “Ambelos”. 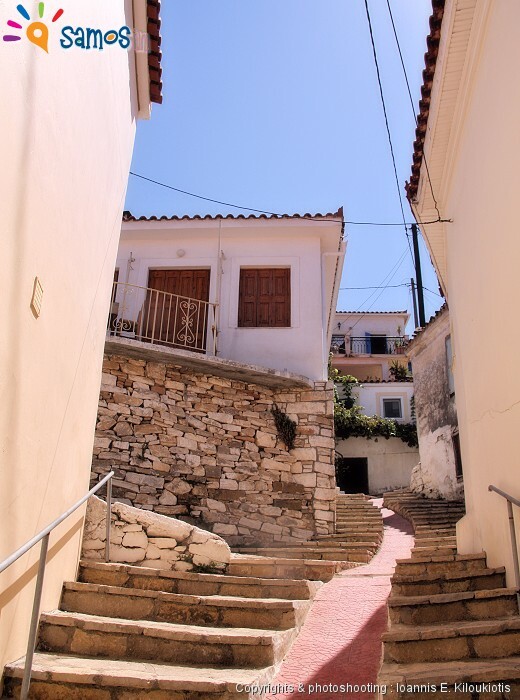 Two settlements belong to Ampelos village, Livadaki settlement at sea side, 3,5 Km north, with 27 inhabitants and Petalides settlement at sea side, 6,5 Km north north-west from village, with 40 inhabitants. 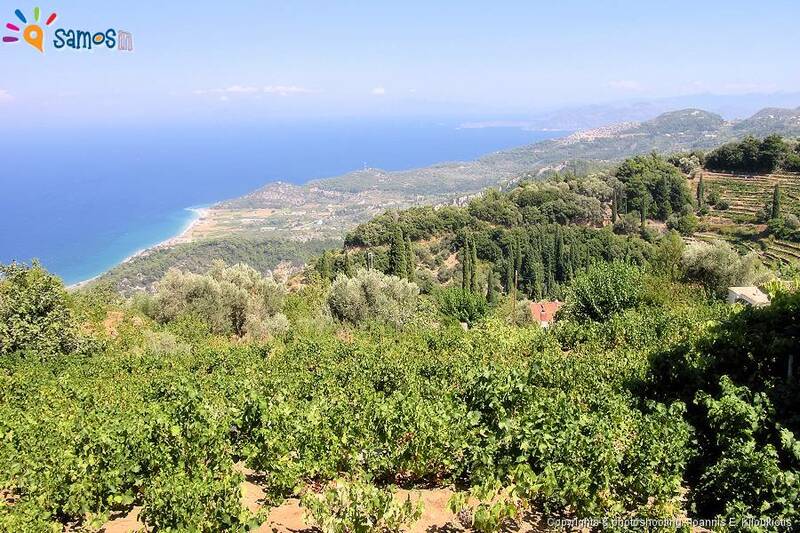 Both located on the provincial road Samos-Karlovasi. 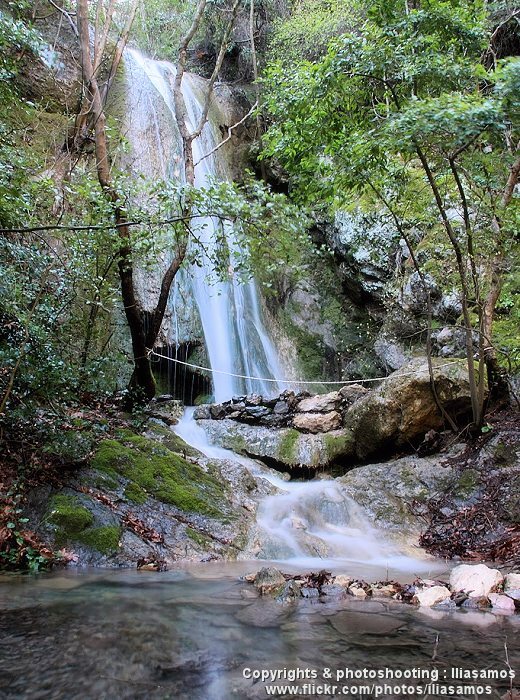 Half an hour walk from the village to the west, crossing a path where nature and lush vegetation encircles you, one arrives at the cave of Ampelos. Just a few meters from the cave there are the beautiful waterfalls. Don’t miss it. 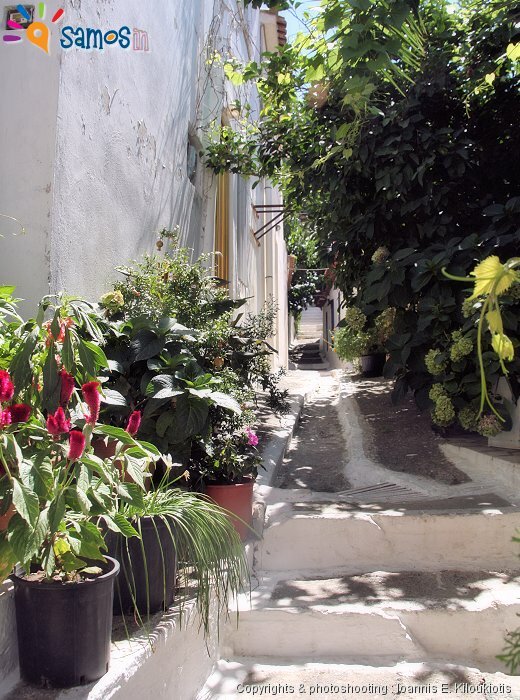 Wander at the picturesque streets of the village with the beautiful and well-preserved houses, beautiful samples of Samian architecture. 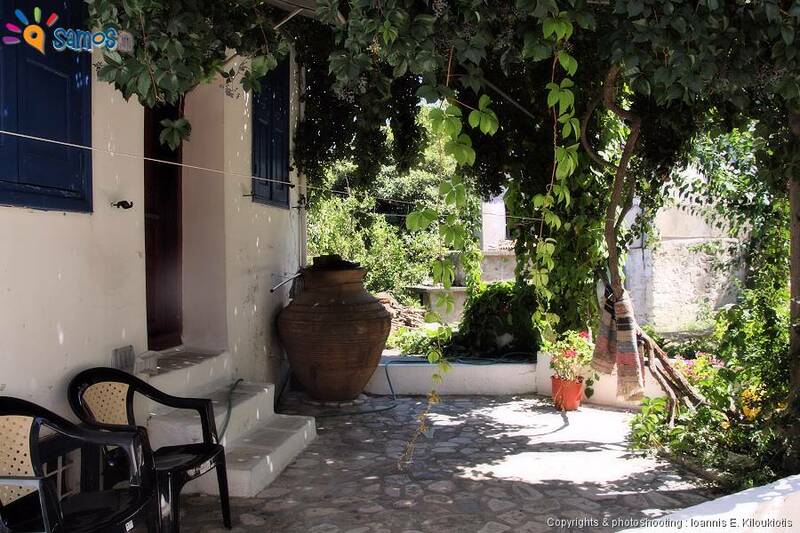 At the village you will find very good quality and large production of grapes for winemaking. Ask to taste local wine. 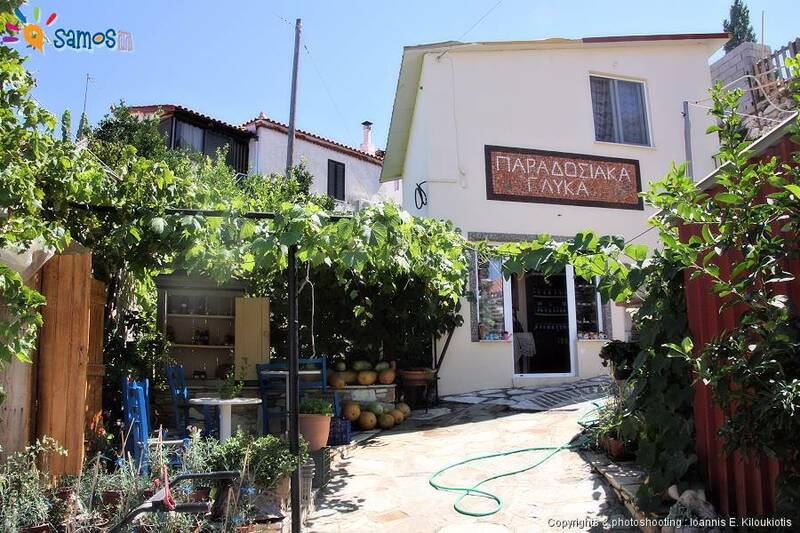 Just above the church, in the picturesque yard of a house, you find a really nice shop with local organic products like wine, olive oil, vinegar, Souma and more.